In the mid 60's the psychologist Abraham Maslow stated that less than 1% of adults grow. After 25 years of teaching and counseling adults I have become convinced that few of us survive childhood in contemporary global culture. This website is dedicated to the initiation of collaboration within the context of Bernard Lonergan's Functional Specialization (Method in Theology, Herder & Herder, NY, 1972) in an effort to gradually shift Maslow's statistic. Through dialogue and the sharing of insights dedicated to the emergence of cultural change a contribution can be made to the long term project of discovering "How to Grow and Educate a Child". Articles will be posted on this site pertaining to a more potentially authentic approach to the growing of people. There is an increasingly large number of websites dealing with the newly-accepted evolutionary age called the Anthropocene.They are not coordinated nor are they grounded in a perspective that would give precision to efforts to climb forward globally out of what is generally regarded as its negative effects. 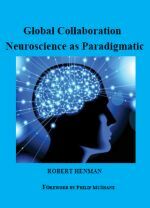 Robert Henman has published articles in philosophy, psychotherapy, theology, meta-neuroscience and ethics. He is the author of a text on the Educational Psychology of Religion, The Child as Quest, University Press of America, 1984 and Global Collaboration: Neuroscience as Paradigmatic, Axial Publishing, 2016. For over three decades Robert has been lecturing in philosophy, peace studies and ethics to undergraduate students. He and his wife Olive Dewan have two adult children and three grandchildren and live in Halifax, Canada. Webmaster © 2008 Robert Henman - All Rights Reserved Built by Tower Software Inc.